WordPress is a dynamic web platform used for creating websites or blogs. It has become hugely popular on the web due to how easy it is to update – even for novice computer users. WordPress is our primary content management system (CMS). To succeed and remain competitive online, websites must be updated regularly. As a result, calling your web developer every time updates are needed is costly, inconvenient, and – thanks to WordPress – mostly a thing of the past. WordPress allows clients to create, delete and modify their own content as they see fit. Notable users include CNN, the New York Times, General Motors, UPS, and Sony. 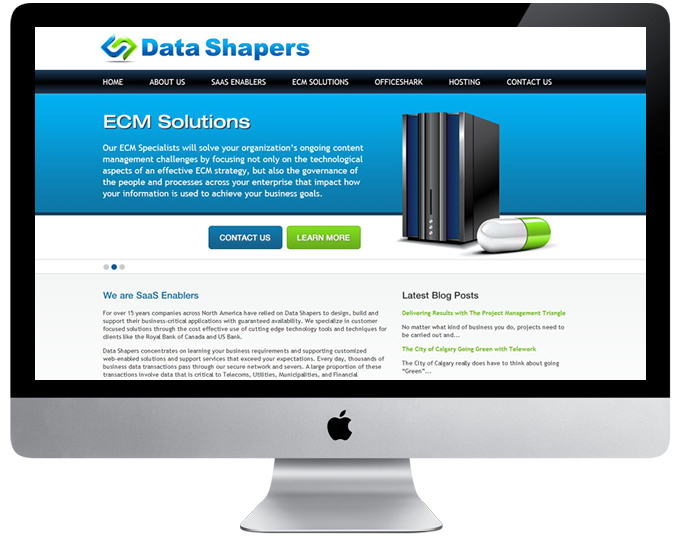 When it comes to CMS, it’s a top contender. WordPress themes are used to style the look and feel of pages, allowing you to customize every aspect of your website. We custom design and code every one of our WordPress themes, ensuring your website will be truly unique. A common misconception with WordPress is that it’s SEO-friendly by nature. This is not true, as without the proper theme and/or plugins, there is no built-in SEO benefit. The good news: our designs include SEO. Whether it’s keyword strategies, custom content, or title tags, our themes will help you achieve prominent search engine rankings. Simply put, we love great WordPress design, and this passion is reflected in our success. From custom post types, to database queries, to plugin creation, our team of designers and developers have done it all. Contact us today to discuss a WordPress strategy for your business.